«Mount Athos of the North» — so is often called the ancient orthodox monastery on Valaam Island which has always been an indispensable religious and cultural center of the Russian North. Two large and 50 smaller isles that rose 2000 years ago from the depth of Lake Ladoga, the largest lake in Europe, and formed the Valaam Archipelago seem to be destined to glorify God and to remind of the original intact beauty of the world. For centuries pilgrims have been visiting the sacred land of the Valaam Monastery and praying in front of the icons. 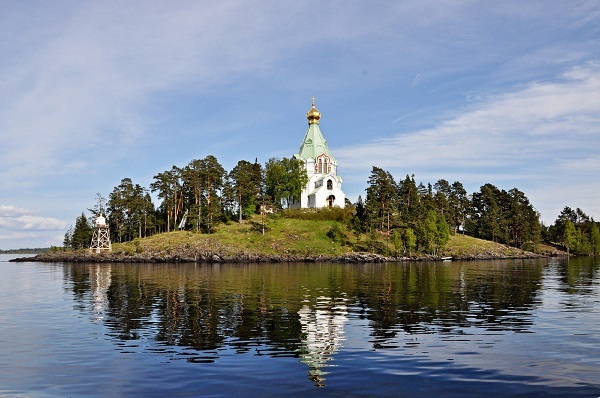 The heart of Valaam is its magnificent monastery complex founded in 992. More than once saw the Valaam Monastery destruction and devastation, more than once its holy churches were engulfed in flames. Despite those tragic pages the monastery revived to live again. We offer a 2-hour excursion to the Central Monastery Complex and a full day tour which includes excursions to the Central Monastery Complex and around the monk cells. During the full day stay you will also enjoy a concert of the Valaam choir and taste the monastery's food during lunch in the refectory. For nature lovers and those who wish to feel the monastery's tranquility we also offer accommodation at the hotels in or close to the central monastery complex. Hydrofoils from Sortavala and Priozersk run to Valaam several times a day.